Jesse Passenier is the winner of the Rogier van Otterloo Award 2017, acknowledging his success in bringing together musical genres in cross-overs, leading his own orchestra and celebrating his skill in orchestral writing. In 2016, three of his large projects were funded by the New Makers Regulation of the Performing Art Fund NL (FPK). That same year, he founded his Fluid Orchestra, launching the orchestra’s debut album Lit Scenes (2018), for which the Fluid Orchestra was joined by the renowned Dutch string quartet Dudok Quartet Amsterdam. This album was released by the USA-based label Odradek Records. Passenier is a composer, arranger, conductor, drummer, pianist and vibraphonist, and the artistic director and founder of the Fluid Orchestra, and the Fluid Festival. 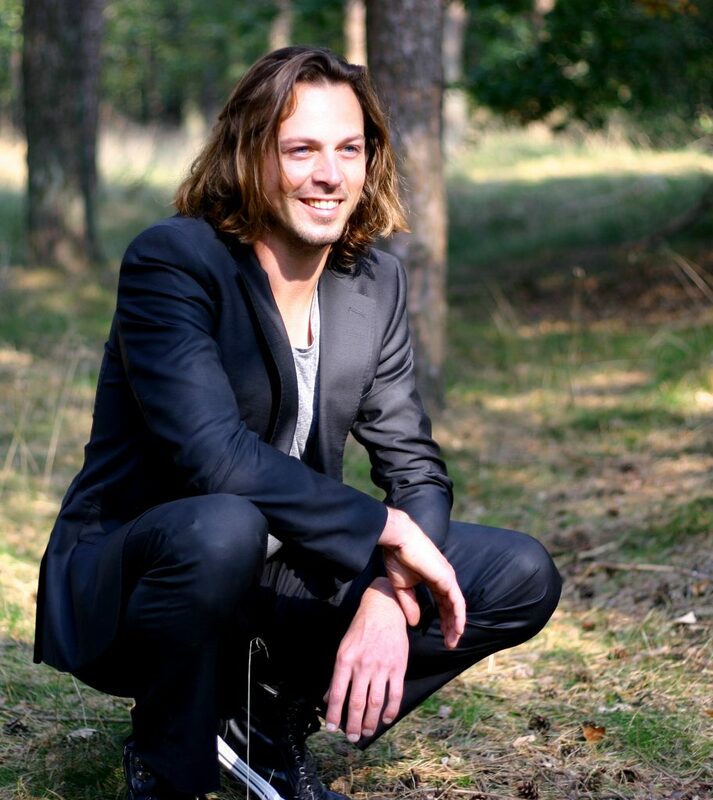 In 2013, Passenier concluded his Composing and Arranging Master of Music degree with distinction at Conservatorium Maastricht (NL), studying with Wolfgang Braun (DE), Michael Abene (USA), Wieland Reißmann (DE) and Henk Meutgeert (NL), and had masterclasses with Vince Mendoza (USA). Currently, he is teaching Jazz Composing & Arranging and Jazz Master Coordinator at Conservatorium Maastricht himself. Already in 2010, he was ‘Young Composer in Residence’ at the MECC Jazz Festival in Maastricht, and in 2011 he was one of the four laureates of the International Composition Contest of the famous Brussels Jazz Orchestra (BJO ICC 2011). In the same year, he founded his own Broad Music Orchestra (predecessor of his current Fluid Ochestra) and wrote his first own project for it, called “Nos Pères”. In 2012, he was accepted into the prestigious ‘Metropole Orchestra Arrangers Workshop’, for which he wrote arrangements for the world famous Metropole Orchestra and legendary jazz vocalist Kurt Elling. Ever since, Passenier has been writing a great deal. Frequently for the Metropole Orchestra (over 70 arrangements) and he composed, arranged or orchestrated for the Heritage Orchestra, the Netherlands Symphony Orchestra, the Royal Band of the Dutch Navy, the Royal Dutch Military Band, the Dutch Wind Ensemble, the South Netherlands Philharmonic, Holland Opera, the Clazz Ensemble, the North Pole Orchestra, L’orchestra Particolare, the Ricciotti Ensemble, the Rosa Ensemble, the Lunar Orchestra, Ensemble 88, and for his own formations in a great variety of styles, from jazz, pop, and rock to classical. He collaborated with international artists such as Kurt Elling, Vince Mendoza, Jacob Collier, Jörg Achim Keller, Jules Buckley, Felix Maginn, Tito Paris, Asha Bhosle, Roop Kumar Rathod, Charles Floyd, and Dutch artists like Reinier Baas, Morris Kliphuis, Vincent van Amsterdam, Ruben Hein, Ellen ten Damme, Janne Schra, Hadewych Minis, Maaike Ouboter, Laura Jansen, Iris Kroes, Joy Wielkens, Waylon, Roel van Velzen, Karsu, Hans Dagelet, Paul de Leeuw, and Bert Visscher. His compositions and arrangements have been heard in important venues, such as the Royal Concertgebouw, Carré, Paradiso, De Doelen, the Bimhuis, and November Music Festival. Read more about Jesse Passenier on the Passenier Music Website.